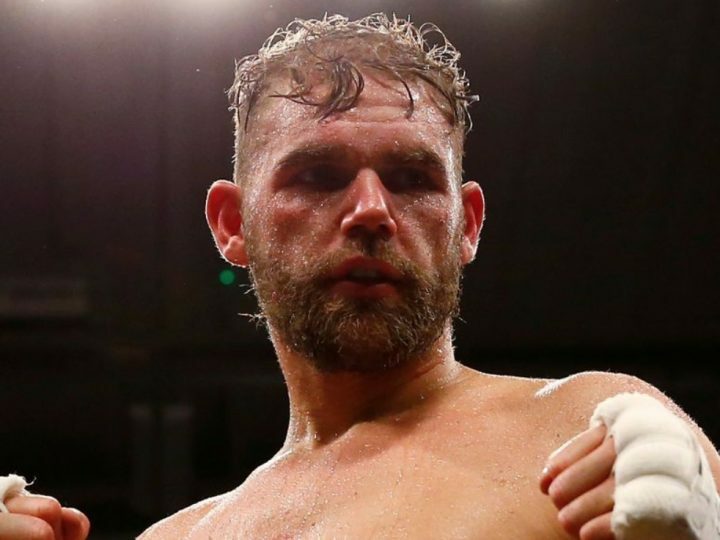 By Scott Gilfoid: Billy Joe Saunders will be back in September to defend his WBO middleweight title against an opponent still to be determined. Saunders’ promoter Frank Warren says he’s had preliminary talks in setting up a fight for the 28-year-old Saunders (26-0, 12 KOs). Saunders had been hoping to fight IBO/WBA/WBC middleweight champion Gennady Golovkin in a unification fight on August 25, but that fight failed to happen after GGG signed for a rematch against Saul Canelo Alvarez on September 15. Saunders had been scheduled to defend his World Boxing Organization 160 lb. title against Martin Murray, but he suffered an injury and was forced to pull out of the fight. The obvious name that jumps out at you is Gary O’Sullivan. He’s an easy mark with little in the way of boxing skills, and he comes from the UK. Also, Sullivan is a fighter that Saunders beat with ease in 2013 in defeating him by a lopsided 12 round unanimous decision. Enough boxing fans have forgotten about Saunders’ win over O’Sullivan for a lot of fans still being interested in seeing them face each other. The only drawback about Saunders trying to get a fight against O’Sullivan is the likelihood of Golden Boy Promotions potentially blocking the fight. Billy Joe O’Sullivan, 33, has said recently that he’s got a chance to fight the winner of the Canelo-GGG 2 rematch, and that he’ll be fighting on the undercard of that fight on September 15. As such, for Saunders to face O’Sullivan, it’s likely going to take a big offer because he can make good money facing Canelo on HBO PPV in December. I doubt that GGG will waste his time fighting O’Sullivan because he doesn’t need to fight easy marks for him to win. I’d like to see Saunders show some backbone by taking on Jermall Charlo or Daniel Jacobs, but I’m not holding my breath waiting for either of those fights in this lifetime. Those guys are too good and would beat the brakes off of Saunders in my view. Saunders is still living off of his one-sided 12 round unanimous decision win over former IBF middleweight champion David Lemieux last December. A lot of boxing fans are now sold on Saunders ever since he beat the out of shape looking Lemieux. Many of those same fans weren’t impressed with Saunders before he beat Lemieux. They remembered how mediocre Saunders had looked in his fights against Artur Akavov and Willie Monroe Jr.